To know. To understand. To compete. To win. Full disclosure: I was a Super Smash Bros. tournament organizer and competitor in the Western New York state region between the years 2004 and 2014. I stopped hosting tournaments and removed myself from the community shortly afterward. Brawl was released into the wild shortly after Street Fighter 4‘s release and the reaction was swift and unforgiving. The Smash community split itself right in two. Melee was on the downturn as Brawl got some time on stage with a new game on a new console and new players playing it and getting recognized. Melee took the opportunity it was granted in the shadows to reinvent itself as the edgy, unpredictable, action-packed entry in the series, featuring “high stakes” money matches, a rainbow of player personalities, a history of alliances and rivalries and the evolution of the game that would never quit. All this was parallel to the softer, quieter, slower and more novice-friendly Brawl. Not unlike the Kashmir region, Melee v. Brawl skirmishes could flare up at any time and almost entirely out of thin air; such was the intense hatred both sides bore for each other. Over time, Melee’s new identity grew into itself and both communities were on their own separate paths to prosperity…and that’s when it happened. The EVO lineup for the year 2013 was announced with a special twist. A few game slots were open and, as part of EVO’s charity drive for that year, the game community that could raise the most money for the charity foundation designated by EVO would have its game featured in one of the final slots. Communities immediately began scrambling for resources and creating an amazing spectator sport of the entire ordeal. Some communities got boosts from their developers, some called in favors, some of the older communities pooled resources from having actual jobs with real wages and some floundered right off the bat. When the Super Street Fighter II: Turbo community gained the lead, it looked like a solid lock for them at the time (although the total amount raised paled in comparison to the final number). The Smash communities of Melee and Brawl looked at each other, in the meantime. They both knew that this was their big chance. The problem, however, was whether the communities should venture together or separately and compete with each other for the EVO stage. The talking heads emerged from their streams and forum posts and then crawled onto Twitter to deliver judgment. The hashtag that would unite two communities as far apart as east from west. The hashtag’s message was that, despite whatever game you play, you’re part of the Smash community. The message has since been changed after the determination of the winner of the EVO 2013 charity game. The Smash community’s talking heads mostly belonged to Melee; Brawl players were still much younger than Melee players and didn’t have many personalities they could put in front of a microphone and have it end well. The communities took a look at their situation and decided on several important things related to EVO. 1] Smash must win the contest to get back onto the EVO roster. 2] As long as any Smash game gets in, some iteration of Smash is likely to reappear next year. 3] To succeed, both communities must present a common and professional front. With this, the great hoodwinking began. Melee players sold their game as the chosen one for the community. 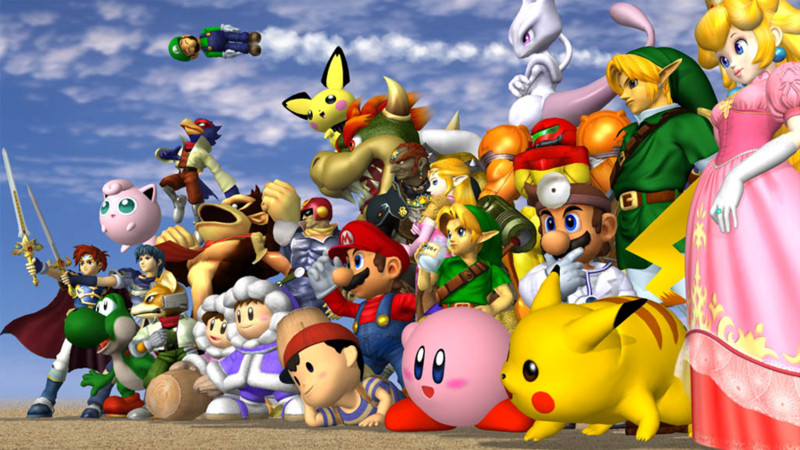 Melee had a history, was a better spectator sport and had more personalities at its disposal. Melee asked Brawl players for their support, saying a win for Melee would be a win for Smash. Melee in one year would mean Melee and Brawl the next year. The promises of a Smash utopia gushed forth like the water from a newly crushed dam. Together, all Smash (more particularly, Melee) players could “four-stock breast cancer” (note the stock number). The Brawl community submitted, investing the future of their game in the hands of Melee players. Melee won the charity game slot with relative ease, collecting sums even after the winner had become a foregone conclusion. The FGC, long over the forceful exclusion of Smash from events by several years, welcomed Melee’s stream viewers and self-sufficient community. Melee, on the other hand, was finally able to enjoy recognition from an entity that had drawn its ire. Everybody wins. Except Brawl. Fast-forward to EVO 2014. Melee is a shoe-in for the lineup. The Melee community makes zero movements to get Brawl added to the lineup and the Brawl community, unable to muster its own offensive due to lack of leadership, submits again and watches from the sidelines as Melee continues to take forward strides for the Smash community on Brawl’s behalf. #OneUnit. Brawl players at this point, did not entirely see what was going on and only the most vocal Brawlers, who sounded clinically insane with the way they presented their mostly factual arguments, seemed to try to draw any attention to the fact that their entire portion of the Smash community was taken for a ride. Brawl was out of sympathy from the outside, too; the community lacked leaders, figureheads and was even hobbling around the elephant in the Brawl community’s own room known as Meta Knight (who was finally banned after years of painstaking debate). Without a way to mobilize itself and still bound through the will of its less educated members by the #OneUnit hashtag, Brawl was left to drag behind Melee for the rest of its days, left in an eternal state of unrealized potential and aching regret. "There's no shame in not knowing an answer, so long as you have a desire to learn."